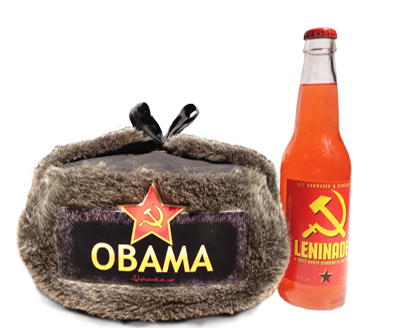 We used to sell a lemon-flavored beverage called Leninade with our Commie Obama hats. Zhukov and I even filmed our own Leninade Commercial on a Southern California beach! It was cool. It was hip. 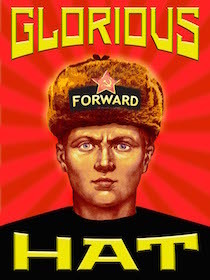 We ship a Leninade side placard with every hat purchase (while supplies last). 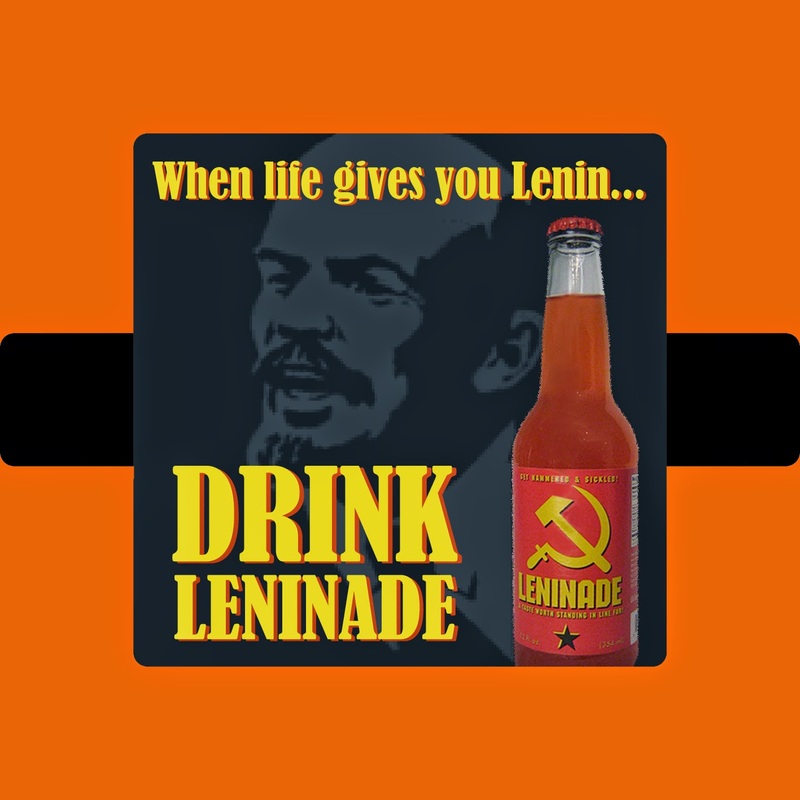 Sometimes a Leninade bottle would show up in one of our Cigar posts. Greg Campbell saw Leninade for the first time in June. He decided to sit in judgement at the Tea Party News Network, where he currently writes his column. Read his reaction to this first encounter with Leninade: Unbelievable: Company Praises Genocidal, Oppressive Regime to Sell Soda. Murderous oppression is not funny. It’s not chic; it’s not kitschy; it’s not a marketing ploy. However, one soda company apparently feels that the mass murder and oppression of millions of people in one of the most brutal, oppressive regimes in history is a great opportunity for marketing their sugary beverage. Perhaps a soda company can be forgiven for a bit of oddball marketing-after all, American consumers are not without a sense of humor when it comes to commercials and ads. 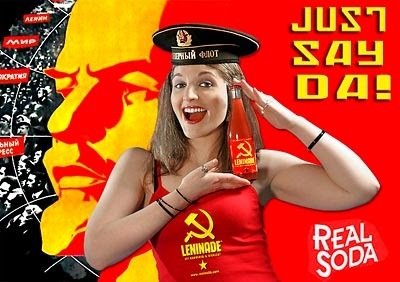 However, with a hammer and sickle prominently displayed, it seems Leninade not only wishes to engage in wordplay, but is either actively promoting the former Soviet regime that murdered over 20 million (conservatively estimated) people or are supremely ignorant of the hammer and sickle and the oppressive, genocidal regime that it represents. 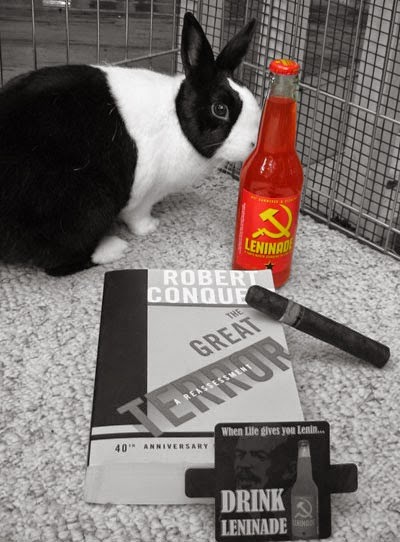 I've had the honor to have met the founder of Leninade. That's him on the left. Danny has a great sense of humor, a Capitalist work ethic like no other, and has seen communism up close and personal on several trips to the Soviet Union as a child. He runs his business, RealSoda, in Southern California where he supplies over 1500 bottled soda brands to businesses locally and nationwide. 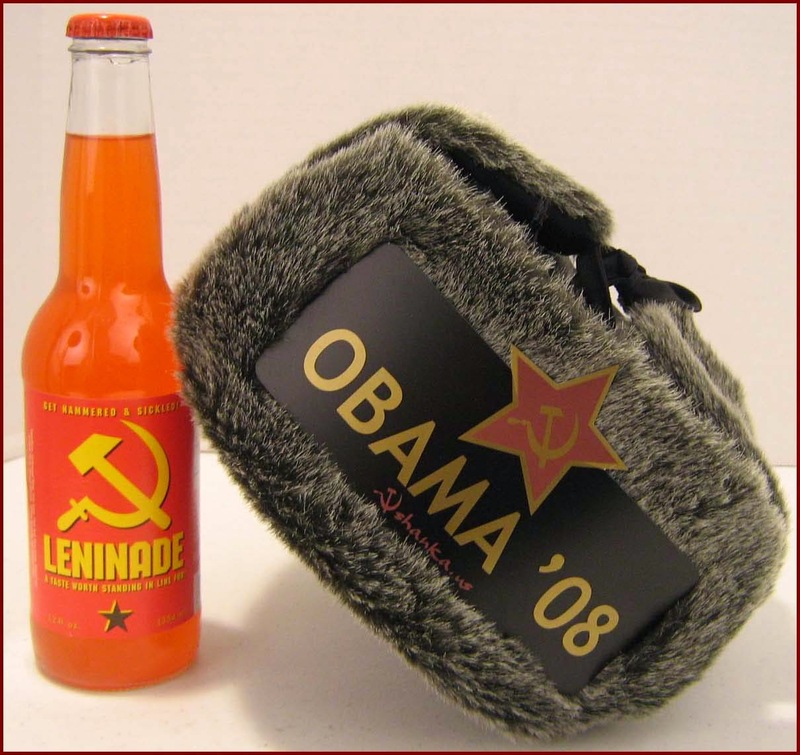 For example, the Reagan Library in Simi Valley proudly stocks Leninade in its gift shop. And best of all, Danny is the proud owner of our Commie Obama hat. I'm guilty of making snap judgements too, although it has been a while. But perhaps Greg, and his editors at the Tea Party News Network, can do a little research before they decide to accuse a business as one that "Praises Genocidal, Oppressive Regime to Sell Soda." I thought this was hilarious. And it's July 5, 2016 today when I ran across a bottle in a hardware store of all places, in, again of all places, conservative Dublin, Ohio.